Hi! 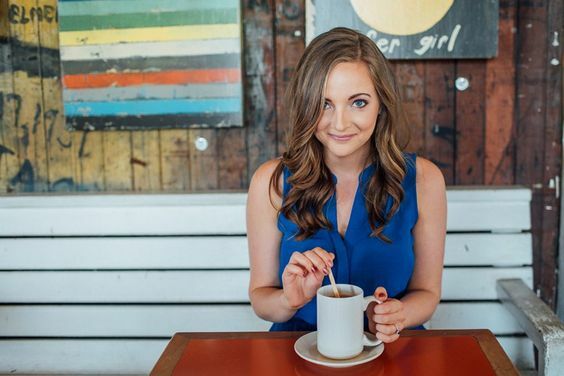 I’m Anya, a San Diego-based Holistic Health Coach and Marketing Consultant on a mission to share good food, health & happiness with as many people as possible. I am a graduate of the Institute for Integrative Nutrition (IIN) and have worked in the natural & organic products industry for my entire professional career with companies such as Suja Juice, Brad’s Raw Foods, and Mamma Chia. While my life may be totally consumed with healthy food now, nutrition wasn’t always a passion of mine. When I was in my early twenties, I decided to adopt a primal/paleo diet just as an experiment. I didn’t think I needed to lose any weight and I didn’t feel particularly unhealthy, I just thought the idea sounded interesting. But, after just one week of consuming a diet of nutrient-dense whole foods and healthy fats without any processed carbohydrates or grains, I felt incredible! I was barely hungry throughout the day, had tons of energy and the biggest surprise of all was that the digestive issues I’d had since childhood completely disappeared. Not only did eating this way make me feel amazing, it also made me realize how unhealthy I had been before, without even knowing it. I slowly began to learn that all of that stomach pain, bloating, hunger and sluggishness wasn’t really “normal” after all. Soon after that, it was pretty easy for me to fall head over heels in love with healthy, nutritious food that tastes amazing and makes you feel great. What I’ve come to learn over the years is that each of us will find and experience health in our own, unique way. There is definitely no one size fits all approach. And, most importantly, food makes up only a very small portion of living a balanced and joyful life. After many years of providing advice and support to friends and family on a one-to-one basis, I figured it was about time I take it to the next level with Anya’s Eats. This blog is a collection of my personal experiences, recipes, tips & inspiration for living a healthy, nourished & blissful life. Want to read more about my health journey? Click here!